[AX 2012 Upgrade] Identifying bad EDT relations using reflection and creating custom project with them. 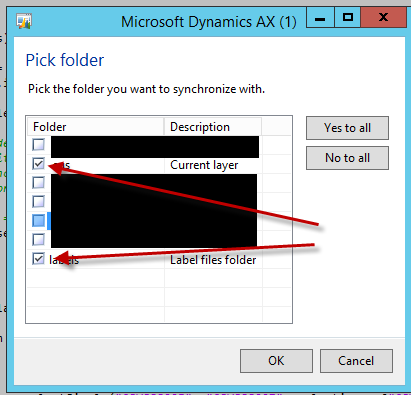 In AX 2012, relations are no longer supported under Extended Data Types. During an upgrade where you are re-implementing, it's common to import database schema via XPO to get your table structure with EDTs. Sometimes EDTs that are brought over end up pointing to non-existent tables and/or and you change/rename tables, things get broken. To uplift your old EDT relations to their corresponding tables, you can use the EDT Relation Migration Tool (http://msdn.microsoft.com/en-us/library/gg989788.aspx) located under Tools>Code Upgrade>EDT Relation Migration Tool. 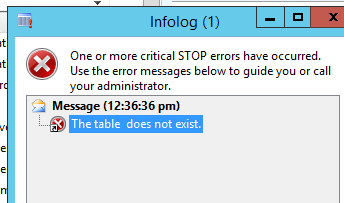 My first time running this tool, it errored with "The table does not exist." Which was due to an EDT that was imported that had a broken table relation. This job will loop over every CUS+ EDT, and if it has a relation, check if it's valid. If it is not, it will create a private project of the EDTs with errors. You can easily change it to search different layers/models/etc. I only limited to the CUS layer for performance. AX 2012 TFS Synchronizing multiple models at the same time in 1 line of code! AX TFS version control sync'ing is designed out of the box to allow you to synchronize multiple models, but for some reason Microsoft intentionally disabled this via code. This is my only concern...why did they intentionally disable it? I've done some light testing with multiple models and it appears to be working fine synchronizing multiple models. I've added this code in our development environment with the caveat among the other developers that Microsoft encourages syncing 1 model at a time in code, but syncing multiple seems to work just fine.